October 8, 2013 – The turmoil that has swept Turkey since the eruption of protests in Gezi Park and Taksim Square seems to have reached the institutions of the judiciary as well. 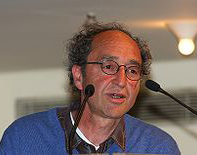 On October 4, the Istanbul court convened to review the case of Dogan Akhanli, a German-Turkish author and human rights activist who had been framed up on charges of membership in a subversive political organization and participation in armed robbery and murder. In 2010, the same Istanbul court had handed down an acquittal, clearing him of all charges. Then, the Appeals Court in Ankara called in Spring 2013 for reversing the acquittal and reopening the case, so the Istanbul court had to decide whether to confirm its earlier ruling or lift the acquittal. That was on July 31, and, as reported in this newspaper (Armenian Mirror-Spectator), the judge declared the court would issue no decision but rather adjourn to October 4. It issued an international arrest warrant against Akhanli, who, it must be stressed, is a German citizen protected by German law. Now, on October 4, in an uncanny repeat performance, the court again adjourned, this time to December 20. The accused, who monitored the proceedings with friends and associates from his Cologne home, received the news from his lawyers in Istanbul. His comment was that the court had "decided not to decide" but had "decided" to maintain the arrest warrant for him and then to postpone the other "decision." This, Akhanli noted, only served the purpose of keeping him out of his native land. As he knows from experience, if he were to try to enter Turkey under current circumstances, he would be arrested. That happened to him in August 2010 when he travelled there in hopes of visiting his dying father. He was apprehended at the airport, thrown into jail and kept there for months, and prevented from attending his father’s funeral. Only after his acquittal in December could he visit Turkey again. Following the lifting of my acquittal by the Appeals Court in Ankara, the case against me has taken on a Kafkaesque character. the very same court which was unable to find any organization behind the murder of Hrant Dink accuses me again of being the head of a terrorist organization -- under the alias 'DOGAN K.' -- and expects me even to stage manage my "execution" together with the accusers. As a writer I know the frightening ability to accomodate and the tragic end of Josef K., the protagonist of Kafka's novel, 'The Trial.' For this reason on December 8, 2010, the first day of the trial against me, I was able with my silence and protected by public solidarity to flee the Kafkaesque room that the Turkish justice system had walled up for me. Now the court wants to use all its power to shut me up again in this room. I am fight against this with all my strength, I will not go back. I will face the Turkish justice system with my silence in the future too. I am not the figure in Kafka's novel, who at the end of his 'trial' lets himself 'volontarily' be executed with a butcher's knife, and yet is again reawakened by every reader to new life. Different from the figure in the novel I have only one life. And I do not want to spend this life in a Kafkaesque farce. I am making my exit. I will no longer appear before the Turkish courts, not volontarily, and not by force. I take the liberty that they want to deprive me of. I will be free, on my own will. I am doing this also because 'my' case, from the political and human rights standpoint is one part of of numerous unjust cases which are opened, conducted and ended in Turkey with shrill arbitrariness and arrogance. With my decision, I know that, in refusing this trial, I am on the side of those who each in their own way are standing up against the Turkish justice system, which is the expression of a hopelessly unjust state. This is, indeed, not the first time the Turkish justice system has displayed such arbitrariness, and the jails filled with journalists, writers, dissidents and human rights activists bear testimony to this fact. What is not clear is the reason why the court continues to perform the same farce over and again. One reason might be found in Gezi Park. The AKP government, to be sure, did not hesitate to deploy violence against demonstrators, and it has come under strong international censure as a result. Talks with the European Union are being delayed, as criticism of such anti-democratic police-state methods is particularly strong in Germany. Prime Minister Erdogan has just issued a reform package, promising rapid strides along Turkey's "irreversible progress towards democracy," with proposals to ensure respect for human rights, by easing restrictions on the use of langauges other than Turkish (i.e. Kurdish), lifting the ban on headscarves in most public offices and reforming the electoral system to allow easier access to parliament for smaller parties, etc. Whether or not the proposals will become reality, whether or not such a reform would guarantee basic human rights at all are big questions; but the fact that the government has come forward with such a package may mean it is feeling the pressure from abroad. In this situation, if the Istanbul court were to decide to reopen the case against Akhanli, go through the motions of a trial, pronounce him guilty and sentence him to life in prison, that could have an explosive effect both domestically and abroad. The Akhanli case has already intersected the Gezi Park ferment; the high-level delegation of observers from Germany who attended the July 31 hearing on his case explicitly linked their defense of Akhanli with their solidarity for the Gezi Park movement. If the court were to decide the opposite, that is, confirm its acquittal and drop all charges and arrest warrants against him, then that could send a shock wave thoughout civil society, generating more optimism and self-confidence among human rights layers that they can in the end prevail. With its chronic vacillating, the court seems to be in a state of paralysis -- anything but free. They are "damned if they do, and damned if they don't." Akhanli, on the other hand, has liberated himself of such constraints by rejecting the entire process.